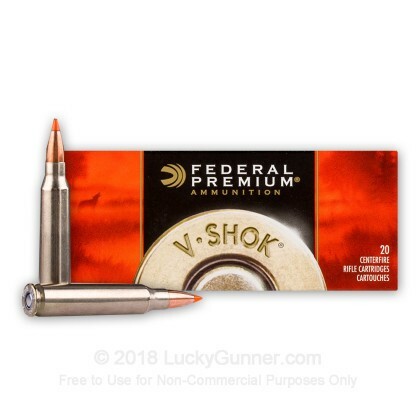 Federal Premium's V-Shok line loaded with Nosler Ballistic Tip projectiles is a deadly combination! 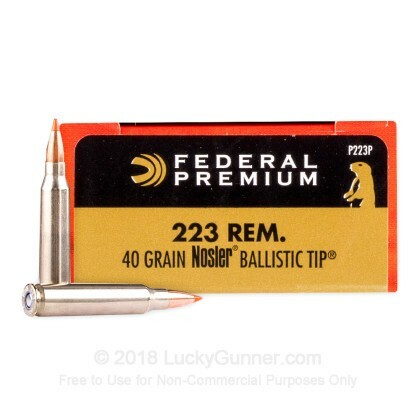 Federal's proven reputation for highly consistent loading, married together with Nosler's Ballistic Tip projectiles produces an accurate, consistent and deadly hunting load. Ideally suited for long range shots with varmints or medium game in the crosshairs, this fast, wind-defying and flat flying round will not disappoint. This bullet is sure to deliver superior mushrooming upon impact while retaining more than 2/3's of its original weight for deep penetration. 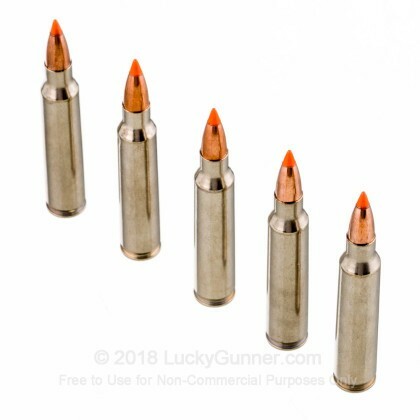 This ammo is ideal for hunting thin skinned game and it is brass-cased, boxer-primed, non-corrosive and reloadable. THIS IS VERY COOL AMMO AND SHOOTS AT 3700 FPS. VERY FAST. 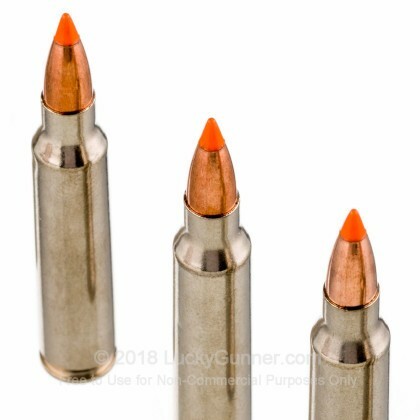 I LOVE THIS AMMO. NO PROBLEMS OF ANY KIND. VERY CLEAN. 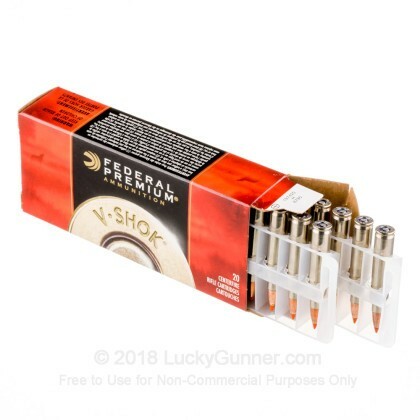 THIS IS THE FIRST TIME I SHOT THIS AMMO AND WILL BUY MORE. 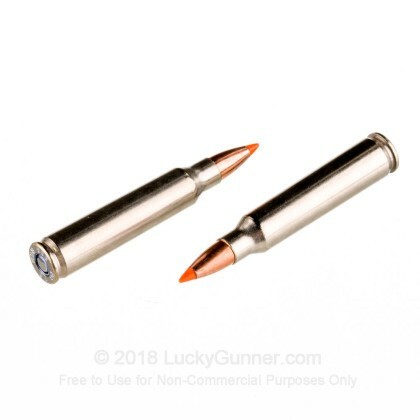 LUCKY GUNNER HAS THE BEST PRICE OF ALL ONLINE DEALERS. THIS IS MY 5 ORDER FROM L.G. AND I WILL BE BACK! !